Israeli soldiers invaded, on Friday at dawn, Qalqilia city, in the northern part of the occupied West Bank, shot one Palestinian with a rubber-coated steel bullet, and fired gas bombs at an Emergency Response Center, causing three medics to suffer the severe effects of teargas inhalation. Media sources in Qalqilia said that soldiers invaded the city, and clashed with local youths, before firing rubber-coated metal bullets and gas bombs, wounding a young man with a rubber-coated metal bullet. 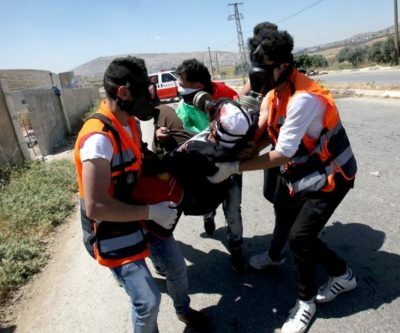 The soldiers also fired dozens of gas bombs, including many that struck a medical emergency response center, hundreds of meters away from the area of clashes, causing three medics to suffer the severe effects of teargas inhalation. The Palestinian, who was shot with a rubber-coated steel bullet, was moved to Darwish Nazzal governmental hospital. It is worth mentioning that the soldiers also invaded and violently searched several homes in the city, and interrogated many Palestinians. The army withdrew later without conducting any arrests. 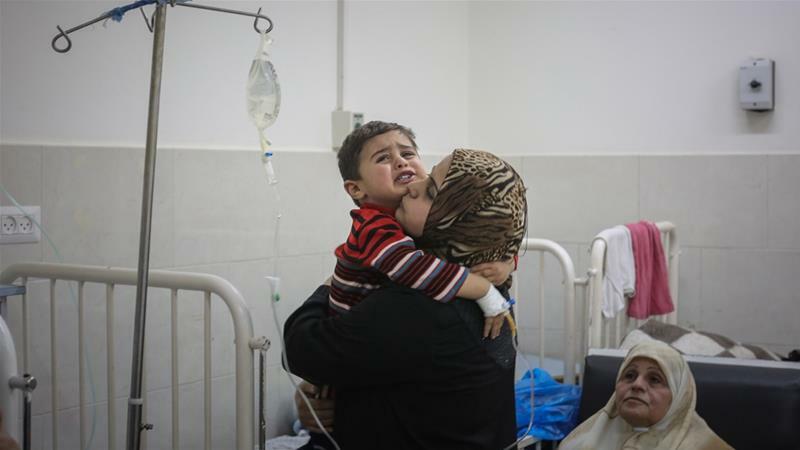 Gaza’s Ministry of Health has confirmed that the situation in the Gaza Strip is getting worse with the daily depletion of available medicines, medical consumables and limited quantities of fuel. Health Ministry representative Ashraf Al-Qedra said, in a brief statement on his Facebook page: “There is no solution on the horizon to these accumulated crises,” pointing out that the international institutions, relief, human rights and the national action groups are on the details moment by moment. He considers, according to Al Ray Palestinian Media Agency, the relief institutions to be essential partners in protecting and supporting the rights and therapeutic requirements of patients who are suffering, from the continuing siege and the systematic policies faced by those trapped in the Gaza Strip. Al-Qedra called on all concerned parties to intensify their efforts in order to rectify the horrible health and humanitarian crisis. It is noteworthy that the Ministry of Health in Ramallah stopped the supply of shipments of medicines and medical supplies to hospitals in Gaza Strip by political decision. Meanwhile, the United Nations Relief and Works Agency for Palestine Refugees in the Near East (UNRWA) said, on Monday, that its financial deficit in 2017 amounted to 115 million dollars, noting that no reduction will occur to the services provided to refugees but it will be forced to implement austerity measures. Bo Schack, Director of UNRWA operations in the Gaza Strip said, during a joint press conference with his counterpart in the West Bank, Scott Anderson, on Monday evening in Amman, that the UNRWA launched an emergency appeal for 2017 worth 406 million dollars, but then reduced it to 140 million dollars only due to the lack of support. In the conference that took place during the meeting of the UNRWA advisory committee, Schack added that UNRWA has received donations that are not at the required level and it still needs 20 million dollars. Schack warned, according to the Jordanian newspaper al-Ghad, that the situation in Gaza is on the verge of explosion due to the ten-year blockade imposed on it, the deterioration of life conditions and the absence of solutions. For his part, director of UNRWA operations in the occupied West Bank, Scott Anderson, said that UNRWA is suffering from a huge deficit in the budget that covers the services delivered. Anderson stated that UNRWA’s regular budget for 2017 is 700 million dollars, to manage its operations in the five regions (Jordan, Syria, Lebanon, the West Bank and Gaza Strip), but, he added, the agency currently suffers from a major financial deficit of about 115 million dollars. He explained that UNRWA relies on voluntary donations and that the agency has been forced to pursue an austerity policy to address its difficult financial situation without affecting the basic services, in addition to expanding the donor base. He pointed out that the UNRWA Commissioner-General urged, in his report published two weeks ago, the donor countries to find effective ways to address the UNRWA financial situation, and presented a proposal to allocate a fixed budget for the agency, by the United Nations. Anderson affirmed that UNRWA is working to improve the infrastructure of the refugee camps and will rebuild 42 health centers in the West Bank during the next five years. A number of Palestinian specialists held on Tuesday Israel fully responsible for the significant decline in health services in the past years in the Gaza Strip and accused it of consolidating the Palestinian political division. 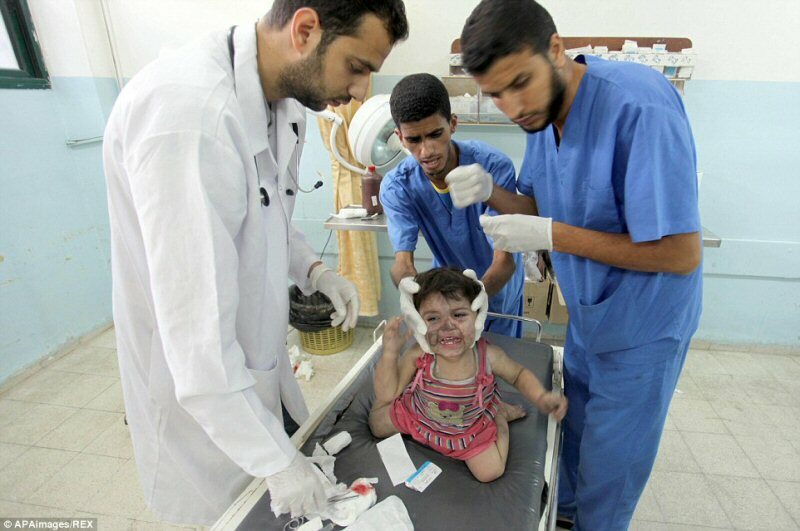 Yasser Abu Jamea, Director General of the Gaza Ministry of Health, said that the siege imposed on the Gaza Strip as well as the existing political division caused the postponement of more than 1,000 surgeries in al-Shifa Hospital. Furthermore, 500 blood units are at the risk of being damaged, he added. 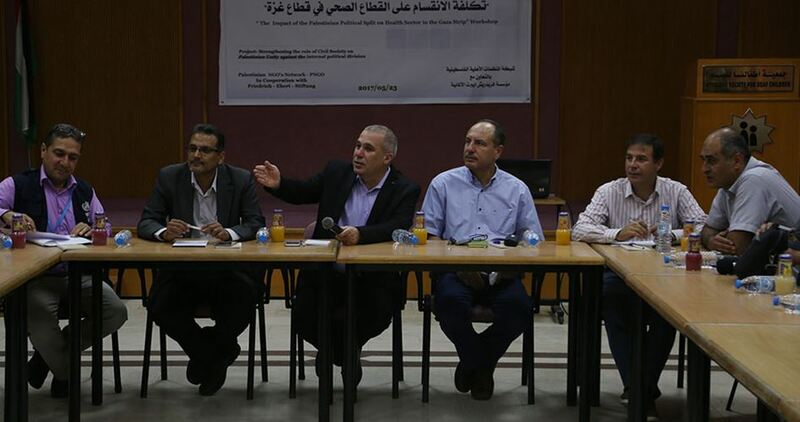 This statement was voiced during a workshop organized by the NGO network on Tuesday on the division's impact on the health sector in the Gaza Strip. Abu Jamea affirmed that the Ministry of Health’s stores lack 30% of the necessary medications, adding that Israel is not the only party held accountable for the crisis afflicting the Gaza Strip and affecting 2 million citizens. Director-General of the Gaza Mental Health Program called for exerting all efforts to lift the Gaza blockade and obtain sources of funding for the Ministry of Health and the other institutions, stressing the need to draw the international community's attention to the humanitarian situation in Gaza. For his part, the director of the World Health Organization office in Gaza, Mohammed Lafi, touched on the main reasons for the decline in the health sector largely due to the Israeli siege and the Palestinian division. Lafi emphasized that the crisis is not new but has emerged since the beginning of the siege ten years ago, noting that only 32% of the required medications is available. This is in addition to the shortage in the medical equipment, Lafi stated. He added that the health sector in Gaza has not witnessed any improvement in years, pointing out that there are 20 deaths among each 1,000 newborns, a ratio that has improved in all parts of the world except Gaza. 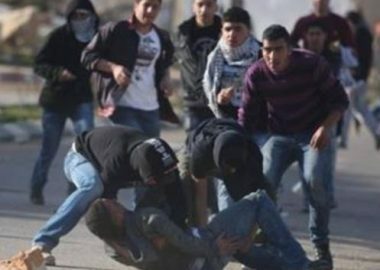 Eight Palestinians were injured, and fourteen others suffered the effects of teargas inhalation, Sunday, after Israeli soldiers invaded the northern area of Jericho city, in the occupied West Bank, clashed with local youths, abducted two residents, and damaged the windshield of an ambulance. The Palestinian Red Crescent Society (PRCS) in Jericho said eight Palestinians were shot with rubber-coated steel bullets, and were moved to a local hospital. It added that its medics also provided treatment to at least 14 other Palestinians, who suffered the severe effects of teargas inhalation. The soldiers also fired rubber-coated steel bullets at a Red Crescent ambulance, smashing its windshield. Media sources in Jericho stated that the soldiers also abducted two young Palestinian men, and took them to an unknown destination. The Israeli occupation forces (IOF) at dawn Friday kidnapped five Palestinian citizens, including a paramedic, in al-Khalil and Nablus. 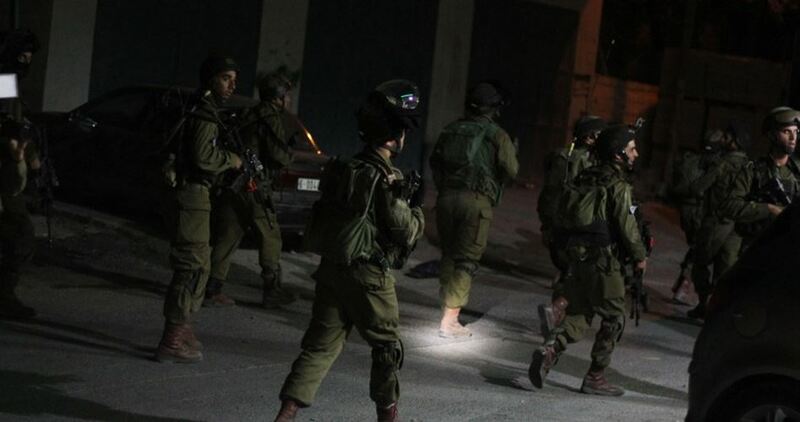 Local sources reported that Israeli soldiers stormed areas in al-Khalil city at dawn and kidnapped three Palestinians from their homes, adding that a car belonging to one of the detainees was confiscated during the IOF campaign. The detainees were identified as Suhaib Abu Hussein, Yousef Amr, and Issa al-Ja’bari, the owner of the seized car. In Nablus, the IOF kidnapped a paramedic called Yousef Dairiya from his home in Aqraba town and confiscated an ambulance he usually drives. A family source told the Palestinian Information Center (PIC) that Dairiya was aboard the same confiscated ambulance at the entrance to Huwara town in Nablus on Thursday when a Jewish settler opened fire at Palestinian protesters killing Mu’taz Bani Shamsa and wounding a journalist. The source added that Dairiya was witness to the crime of killing Bani Shamsa. In a related context, another Palestinian citizen was taken prisoner during an IOF dawn campaign in Nablus city, north of the West Bank. The detainee was identified as Jamal Shalo, the owner of al-Waleed Transport Company in the city. The IOF also confiscated one of the company’s buses at the pretext that it was used to transport citizens from Nablus city to Huwara town, where Bani Shamsa was shot dead by a settler during a protest rally in solidarity with hunger-striking prisoners in Israeli jails. Head of the Health and Environmental sector in Gaza’s administrative committee, Basem Naeem, stated Sunday that the banning the entry of medicine, milk for children and cuts to the salaries of medical staff, in addition to the fuel and power cut brought the health sector to a state of crisis. Naeem informed the Palestinian Legislative Council of the dangerous conditions now unfolding, holding the Israeli occupation fully responsible. He stressed, according to Al Ray Palestinian Media Agency, that this and other crises emerged due to the tight siege on the strip, by Israel, holding it accountable for providing the blockaded sector with the humanitarian and medical assistance in accordance with international law. He explained that the health sector suffers of an acute shortage in medical staff, coinciding with the opening of new departments in need of new staff. The head of the health committee in the PLO expressed grave concerns over the health crisis, noting that cooperation was required in order to be solved. Israeli soldiers assaulted, Friday, dozens of Palestinian protesters in Beita town, south of the northern West Bank city of Nablus, and Beit Forik town, east of the city, wounding 66 Palestinians, including one who was shot with a live round in the face, and causing damage to three ambulances. Ahmad Jibreel, the head of the Emergency Unit of the Red Crescent Society in Nablus, said the soldiers shot one Palestinian with an illegal expanding bullet in the face, in Beit Forik, and seven others with rubber-coated steel bullets, while dozens suffered the effects of teargas inhalation. He added that the soldiers also shot sixteen Palestinians with rubber-coated steel bullets, and caused dozens to suffer the severe effects of teargas inhalation, in Beita. Also among the wounded was the deputy-governor of Nablus governorate, Anan al-Ateera, who was shot with a rubber-coated steel bullet in his mouth. Furthermore, the soldiers fired live round at a Red Crescent ambulance in Beita, including a round that struck and punctured one of its wheels, while transporting a wounded Palestinian to a hospital, and fired live rounds at two other ambulances, smashing their side and rear windows. The army also attacked many protesters, holding Friday prayers near a military roadblock, installed by the soldiers at the main entrance of Beita town.